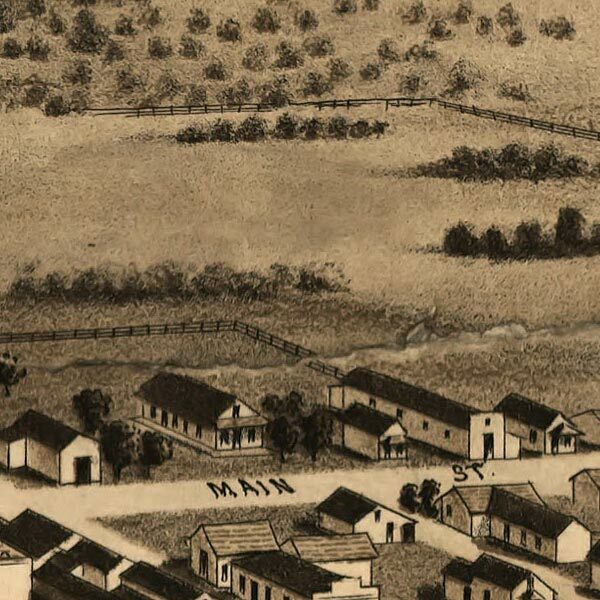 Fred A. Walpole's birdseye Map of Siskiyou County, California, from 1884. This map isn't part of any series, but we have other Northern California maps that you might want to check out. 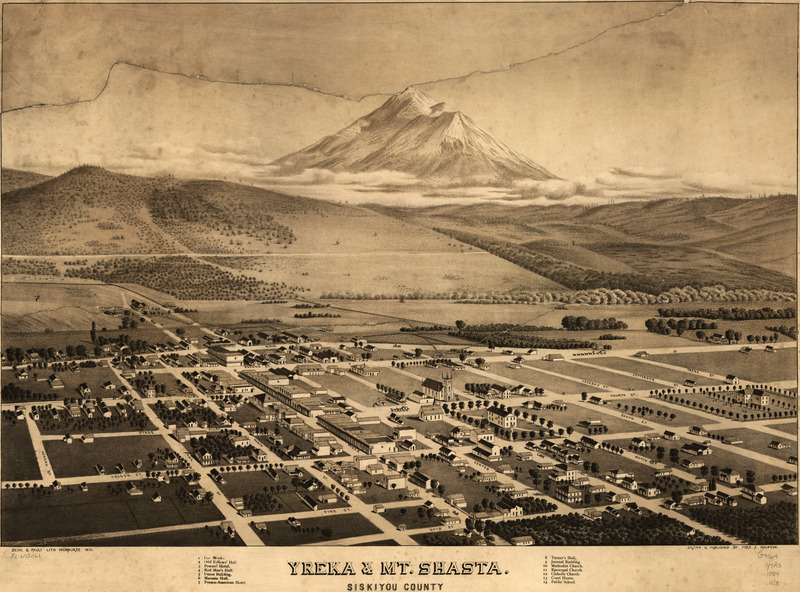 Fred Walpole made only two birdseye maps that I can track down, and one of them is this one of Yreka, California at the foot of Mt. Shasta. It's technically quite proficient, and has a draftsman's eye for the variations in building ornamentation. The individual attention to each building is rather commendable. Even so, I found it lacking a little panache or something and leaving me cold. (I'd better stop now, 'cause I'm sounding like a wine critic or something... and come to think of it, I just did that same, lame kind of b.s. pan that critics do when they want to hedge on why they don't like something. So I take it back. This is miles better than any birdseye I could draw, at any rate). Mt. Shasta, like Mt. Fuji, has scores of people who single it out for being a particularly handsome mountain. I've not ever seen either, but I've heard many people rave on both. This is why Mt. Shasta is known as ”The Fuji of the West”.